This film is still a puzzlement. 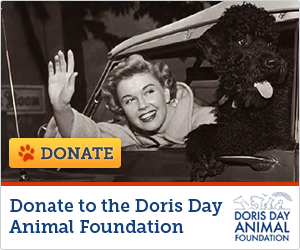 Doris had great co-stars (Jack Lemmon and Ernie Kovacs), the chemistry was obvious, the story was good. It should have been a box office smash. It wasn’t. Maybe it needed the infusion of some songs better than “Be Prepared” (The Boy Scout Song) and the weak title tune. A romantic comedy film starring Doris Day, Jack Lemmon, and Ernie Kovacs directed by Richard Quine and written by Norman Katkov and Max Wilk. The film was co-produced by Quine and star Day's husband at the time, Martin Melcher. In May 1959, in the town of Cape Anne, Maine, a foul-up by the Eastern & Portland Railroad (E&P) results in the death of 300 lobsters shipped by Jane Osgood (Day). She gets her lawyer and friend, George Denham (Lemmon), to go after the E&P to pay damages after her customer, the Marshall Town Country Club, refuses all future orders. In the E&P office in New York City, Harry Foster Malone (Kovacs) learns about the Osgood lawsuit. Due to the budget cuts Malone instated, there was no station agent at Marshall Town to receive the lobsters. Malone sends employees Crawford Sloan (Walter Greaza) and Wilbur Peterson (Philip Coolidge) to Cape Anne to deal with the situation. The two attorneys offer $700, but Jane turns it down because the loss to her business reputation is more than that. Jane wins in court, but E&P appeals the case to the state Supreme Court in Augusta, Maine. George files a writ of execution to force payment and take possession of the train, Old 97, in lieu of payment. Jane is interviewed by local newspaper reporter Matilda Runyon (Mary Wickes), who then calls the Daily Mirror in New York. Top reporter Larry Hall (Steve Forrest) is sent to Cape Anne for the story. Television stations also want to interview Jane. Malone retaliates by charging Jane rent for the rails on which the train is sitting. Jane appears on ABC, NBC, and CBS. Fearful of bad publicity, Malone finally gives in and cancels the rent, but gives Jane the train. Meanwhile, George becomes increasingly jealous when he sees Larry is attracted to Jane but can't pop the question. Back in Cape Anne, during a town meeting, Jane learns that Malone has ordered all his trains to bypass the town and has given Jane 48 hours to remove Old 97. Jane runs away and George scolds the townspeople for turning against her. Realizing that Old 97 is just the way to deliver the lobsters, Jane and George persuade everybody to fill up the train's tender with coal from their homes. George recruits his uncle Otis, a retired E&P engineer, to engineer the train. Old 97 sets off with Jane, her children, George, and the lobsters on board. Malone does everything possible to delay them. Jane becomes upset at the roundabout route Malone is forcing them to take. While on the train Jane also has to contemplate Larry's marriage offer although she's really in love with George. Jane finally puts the words in George's mouth agreeing to get married. Eventually, the coal runs out, stopping Old 97 and blocking traffic. Just then, Malone arrives by helicopter. Jane scolds him for his underhanded actions. Malone finally agrees to Jane's demands. Jane and George tell him to come along so he cannot cause any more trouble. He finally shows his good side by helping shovel coal. Larry and a photographer are in Marshall Town when the train arrives. George kisses Jane in front of Larry so that Larry has no doubt as to Jane's answer. After the wedding, as George is being sworn in as the new first selectman, a badly needed fire engine pulls into town, a present from Malone. Jane: Sam! You know that's the girl's side. You bad boy you! Billy: Mom, why does Sam always want to go on the girl's side? Larry: Well, you declared war on Goliath, you and your slingshot. Matilda: I'm warning you stupid! George: Matilda I'm asking you to ring the hotel just once more. I need to talk to the room clerk. Jane: Well, say it can't you just say it! Jane: Say anything! Why can't you be neurotic like Larry and say you'll marry me! George: Well you know I will. George: We're not going to tell him anything. One picture is worth a thousand words. [To Larry] Get it? Larry: Yeah, I got it. Terry Melcher had a bit role in this film. "Doris Day wrote that her manager/husband Martin Melcher was terribly concerned over the box-office failure of this film and The Tunnel of Love (1958). Their failures caused Day to drop out of the Top Ten Box Office Stars. Day and Melcher had words about him hustling her into almost any film for the money instead of waiting to find good scripts that would have produced better results." While it’s true the name of Ernie Kovacs’ character, Harry Foster Malone, was inspired in part by the Charles Foster Kane character in 'Citizen Kane', the character itself is actually based on Harry Cohn, the head of Columbia Pictures, which produced 'It Happened to Jane'. Kovacs not only gained weight for his wicked impersonation of the feared mogul but affected Cohns' look, cosmetically donning a bald plate for the film. I was told this by Jack Lemmon himself, who shared a wealth of information with me while I was writing my book, 'Jack Lemmon: His Films and Career.'" "Lemmon described working with Day as 'a pleasure' in his biography by Don Widener and recalled the film as 'a charming picture, made when you could still do charming films'. Lemmon, Kovacs, and director Richard Quine all roomed together in a 17th century house with oak-beamed ceilings during production. At 3 o'clock every afternoon, Quine would let everyone off for the day and many cast and crew members would go trout fishing in a nearby stream. Lemmon would go back to his room, however, for piano practice; he had an electric piano with headphones installed so that his playing would not bother his housemates."